My anticipation for Inside could hardly have been greater. I’m a huge fan of Playdead’s first outing, Limbo, and after reading a slew of gushing reviews of its latest game it was all I could do to wait the extra week for it to be released for PC. Boy was it not worth the wait. 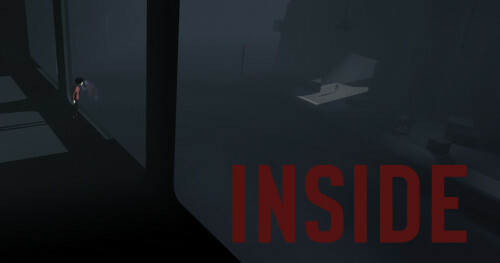 Trailers for Inside had hinted at a slightly different style of game to Limbo’s 2D, side-scrolling puzzling action. One that was more three dimensional (figuratively and literally), told more of a direct story and that included an intriguing dystopian society setting, potentially providing an extra level of depth and engagement over the bleak fantastical world of Limbo. However, the reality is that it’s very much the same game with a slightly tweaked visual style, a few new additions to the formula and an even more unsatisfying, abrupt ending. Indeed it’s the length of this game that is a crucial failing. At around three hours long it feels distinctly lightweight. While other highly praised indie games such as Journey and indeed Limbo are equally short, the six year development period for this game, and the fact it’s built on the back of the success of Limbo, leaves you expecting more. Then there’s the fact it starts in exactly the same way, with a seemingly lost boy in a woods, escaping some unknown evil. On one level it’s a fun nod back to Limbo but on another it feels like retreading the same path. Not that this game is a complete disaster, by any means. The setting looks stunning and has a wonderful weight and depth to it. There are also some amazing set pieces, and in fact it is the opening sections of the game that feel like they have the most atmosphere as you escape your pursuers through woods and farmland. It’s as you get into the mysterious cityscape sections shown so prominently in the trailers that the game starts to feel a bit generic. The flow of the game and puzzle design also means you’re constantly kept guessing and on edge but seldom frustrated. Like with something like Half Life 2, there’s a real sense of the game having been honed to perfection. There are also some clever new puzzle ideas and fun, tense moments such as when you’re having to imitate being one of the brainless mass of bodies that otherwise seem to occupy this world. Unfortunately, it’s just that there aren’t enough of those truly great moments and the rest of the game just feels a bit weak. The puzzles tend to be on the easy side, with just a couple of occasions early on where it takes a bit of head scratching to figure out the game’s tricks. Several of the puzzles are overly drawn out too, requiring protracted fetch and carry missions over fairly large maps. Although it has been a while since I’ve played Limbo, from what I recall I don’t remember the puzzles ever being so large and tedious. In the end, though, the key failing of this game comes down to Playdead’s attempt to make it enigmatic. To make a rich, engaging environment that hints at all sorts of weird goings on that you want to learn more about, but to then completely hold back on explaining anything. While I can take an ambiguous ending, Inside has gone too far. It’s stepped into the realm of the TV show Lost. Meandering around, hinting at this and that, and then finishing on a thoroughly unsatisfying zinger. It’s worth playing, simply because it’s only three hours long and is quite the odd experience, but I’d wait for it to drop to a fiver and lower your expectations of greatness.